I have lived in Stockholm for 45 years, but I can still be overwhelmed by the city´s beauty. Today, taking a walk in central Stockholm, I just had to stop on the bridge across Strömmen, the historical reason why Sweden´s capital is situated where it is, at the waterway between Lake Mälaren and the Baltic Sea. 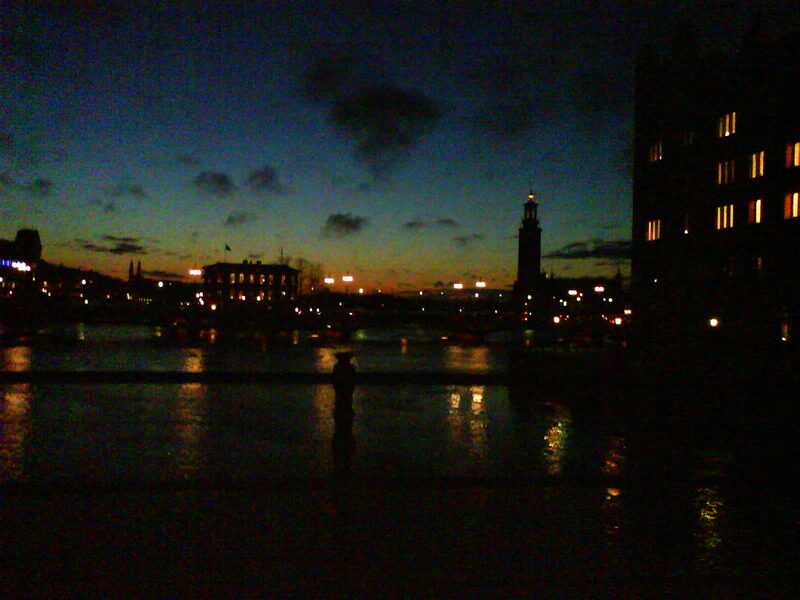 My mobile could of course not capture the full beauty of an afternoon in Stockholm early December, just after sunset. Anyway, I just had to post a picture here.